With notes of milk chocolate, stonefruit & nougat, our 100% organic blend is delicate and buttery with a smooth finish. The following origins currently make up the N° 142. Our Fair Trade Organic coffee is sourced from the Cajamarca region of northern Peru, near the border of Ecuador. This remote and beautiful region is nestled in the valleys of the Andes mountain range and has the climate and potential to produce some of the worlds finest coffees. 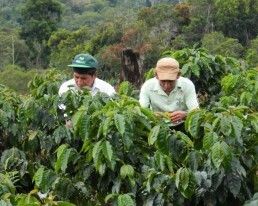 This blend is a regional selection of coffees from over 800 small hold farmers. 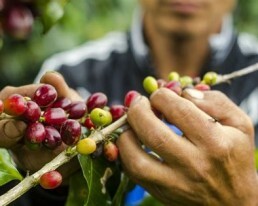 Once picked, the coffee is sent to a centralised mill where it is sorted and graded based on quality. Peru is fairly new to the specialty coffee market so it’s exciting to see the quality and potential of Peruvian coffee increase year after year. This completely organic coffee has flavours of milk chocolate, nougat and stonefruit, with a delicate sweetness and is very well balanced.